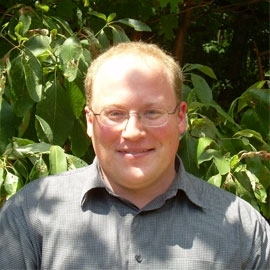 Brian’s research focuses on theoretical and numerical studies of galaxy formation and evolution, primarily using the Enzo adaptive mesh refinement code. He is particularly interested in the formation of the first stars, galactic chemical evolution, and the astrophysics of galaxy clusters. He is also interested in petascale computing, because many problems in astrophysics rely on numerical simulations to make theoretical progress. As the questions we ask become more difficult, so too must the calculations we undertake in our efforts to answer them. Vashti Sawtelle is physics education researcher who studies how learning environments support (or inhibit) students from diverse backgrounds in their learning physics. She focuses her work on understanding the role active learning, modeling, and interdisciplinary classrooms (e.g., physics for biologists) have to play in creating supportive learning environments for all students. The meeting will be held in the Biomedical and Physical Sciences (BPS) building on the campus of Michigan State University. See the map on the last page of the program. Registration cost is $10 per meeting. Students and first-time attendees, though, may attend free of charge. Refreshments will be available courtesy of the MSU Department of Physics and Astronomy. Lunch will be provided courtesy of MSU Department of Physics and Astronomy. Information on area hotels, parking, and maps for MSU can be found at: http://www.msu.edu/visitors/index.html. Who hasn't had a day where they feel that the Universe was out to get them? Well, it turns out that it's true. In this talk, I will describe the myriad ways that the Universe is out to destroy the Earth (or, at the very least, every living thing on the Earth). This includes rogue black holes, supernovae, massive asteroids, and more! I'll explain what these objects are, how we are trying to detect them, and what if anything can be done if we DO detect one coming right for us. Bad science fiction movie-related jokes will abound. 9:00 That's a nice trick... but is it "doing" physics? 10:45 What can MSU nuclear science do for you? The underrepresentation of women in physics has been well documented and is a source of concern for both policy makers and educators. As a field, physics education has made progress in understanding the issues at play for women in physics courses. In this talk we’ll discuss the current status of women in physics, what we know from research into the representation of women in physics, and guidelines for what we as instructors can be doing to create more equitable learning environments for all students. Workshop #1 - Doing Scientific Investigations in Introductory Astronomy-Is It possible? One of the professed goals of many instructors of introductory astronomy is to expose general education students to science and "how science works," so students that are not majoring in science can go on to be better able evaluate what they will hear in the media about different scientific topics as citizens and voters. This goal could be achieved if students are required to do actual scientific investigations that require them to think scientifically in astronomy lectures and/or laboratories. Long time MiAAPT member and former officer, Michael C. LoPresto, coordinator of the NASA/JPL-Center for Astronomy Education (CAE) Great Lakes Regional Teaching Exchange (which also serves as the MiAAPT-Astronomy Arm) invites you to an open discussion about ways to encourage and even require scientific thinking in introductory Astronomy. Please come prepared to report on ways you have been doing this in astronomy lectures and/or laboratories, share your results and comment on how successful you have been. A presentation on currents attempts at this at Henry Ford College will be included if participants are interested and time permits. Mike has been teaching introductory astronomy at HFC for 25 years now, has recently earned a PhD in Astronomy Education, is currently doing at Post Doc on the subject in the Astronomy Department at the University of Michigan and is a CAE -Collaborating Teaching Scholar. Topic: Participants will have the opportunity to construct apparatus that are usable for classroom demonstrations of physics phenomena by the teacher or which will serve as a model for constructing a classroom set for student use. These apparatus will be constructed of inexpensive and easily-attainable material available from hardware stores, building supplies, and online stores. Construction can be accomplished using common tools such as drills, saws, and fasteners.